By growing Grecian windflowers, you can add a pretty new perennial to your garden. 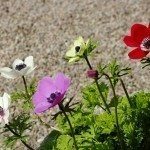 This spring bulb is also known as Anemone blanda and comes in range of colors, providing low clumps of blooms that easily fit into a variety of garden types and climates. A. blanda, or Grecian windflower, is a pretty and colorful perennial spring bulb that produces blooms with a shape and appearance similar to that of daisies. They are short, growing only to about six inches (15 centimeters) at a maximum, and can act like a blooming spring ground cover. They can also be grown in clumps or in low rows to complement taller perennials. There are several varieties of Grecian windflower that produce different colors: deep blue, white, pale pink, magenta, lavender, mauve, and bicolor. The foliage is medium green and reminiscent of fern fronds. 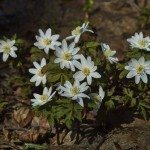 With good Grecian windflower care, you can expect to get a proliferation of pretty blooms starting in early spring and lasting for a few weeks. These are often the first flowers to bloom after winter. You only need a little bit of Grecian windflower information to be able to grow these pretty spring flowers. They don’t require a lot of effort and will thrive in the right setting and climate. Windflowers are native to the high mountains of Europe, but they have adapted well in many other areas and climates. They can grow throughout most of the U.S., covering zones 4-9. Your windflowers will grow well in full sun, but they also tolerate partial shade. 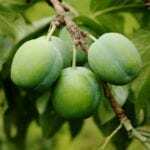 They need to have well-drained soil and prefer rich soil. When planting the bulbs, add compost if your soil is thin, and place them about three inches (8 centimeters) deep and spaced two to three inches (5 to 8 centimeters) from each other. Grecian windflower care is pretty simple once you get the bulbs in the ground. They will tolerate drought in the summer and self-sow. Expect them to spread out and fill in areas like a ground cover. The foliage will die down over the summer with no need to prune or remove any of it. A little mulch in the fall will help protect your bulbs over the winter. These are beautiful flowers that provide a unique type of spring ground cover in the right conditions. Be aware, though, that Grecian windflowers are toxic. All parts of the plant can cause irritation and gastrointestinal distress, so consider this if you have pets or children in your garden.